Jazz news: Lalo Schifrin to Release "Invocations: Jazz Meets The Symphony No. 7"
Lalo Schifrin to Release "Invocations: Jazz Meets The Symphony No. 7"
(Los Angeles, CA) Aleph Records will release the latest title in the multiple Grammy©-nominated series, Jazz Meets the Symphony, on April 12, 2011. The seventh recording of the series, Invocations, features original compositions and arrangements by Lalo Schifrin, who earned his fifth Grammy Award this past fall at the Latin Grammy Awards. Few composers have been able to successfully navigate the diverse worlds of classical music, jazz, and film music. 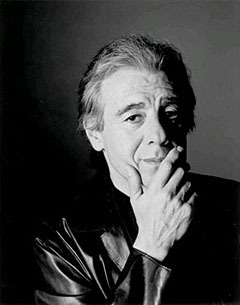 It is Schifrin's ability to switch musical gears which makes him so unique in the music world. 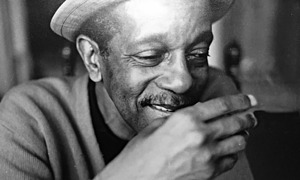 His music is a synthesis of traditional and twentieth-century techniques, and his early love for jazz and rhythm are strong attributes of his style. Music imposes its magic through the constant necessity of variations, which can recapture one's past or prefigure one's future. 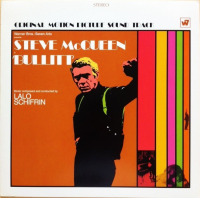 From the outset Jazz Meets the Symphony testified to Lalo Schifrin's sparkling vision as well as his genius. The series originally debuted in 1993, combining the London Philharmonic with jazz stars Ray Brown, Grady Tate, Jon Faddis, Paquito D'Rivera, James Morrison, and of course Lalo Schifrin, himself. Thinking back, I believe the start of this project was really two of my early film scores," said Schifrin, namely, The Cincinnati Kid, in which Ray Charles sang backed by a symphony orchestra, and the famous chase scene through the streets of San Francisco in Bullitt wherein I wrote a symphonic score combined with saxophone solos playing at very fast tempos. Then, years later, when I arranged music for Dizzy Gillespie, Ray Brown, Grady Tate and myself to play for a tour with the Israel Philharmonic Orchestra, I began to fully realize that the two distinct musical forms could be combined." When Schifrin returned to Buenos Aires in the mid 1950's, he formed his own big concert band. It was during a performance of this band that Dizzy Gillespie heard Schifrin play and asked him to become his pianist and arranger. In 1958, Schifrin moved to the United States and thus began a remarkable career. Schifrin has written over 100 film and television scores including Mission Impossible, Mannix, Cool Hand Luke, Bullitt,The Cincinnati Kid, Amityville Horror, four of the Dirty Harry films, and more recently Abominable and the Rush Hourtrilogy. Lalo Schifrin has won five Grammys® (twenty-two nominations), one Cable ACE Award, and six Academy Award nominations. This story appears courtesy of CineMedia Promotions. For interview requests or more information contact CineMedia Promotions.